I'd like to show you the project that I am working on right now. I started without any knowledge of the engine and bit by bit learned more to be able to get my ideas working. 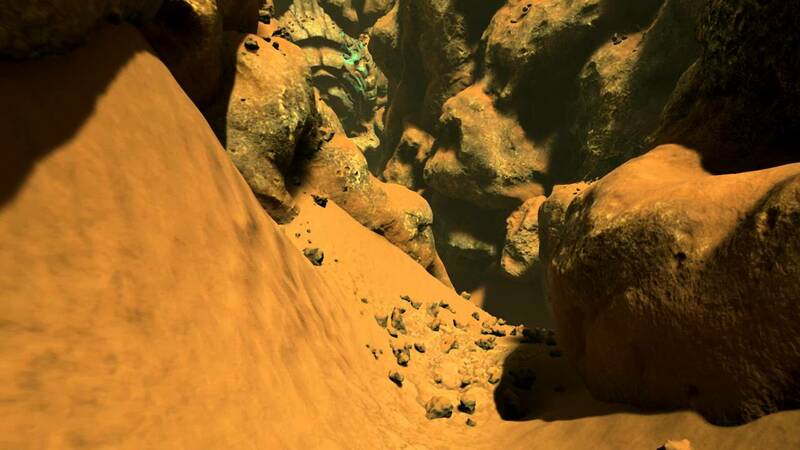 CydoniA Virgo is a FPS game which tells a story of martian explorer and archaeologist. The expedition discovered the remnants of the ancient martian civilization but it wasn't prepared for all the dangers that lurked beneath the sands of Mars. Everyone, except the main character, dies after a gruesome incident inside one of the tombs. From this moment he must face all the mystical horrors and secrets of the Red Planet. The main idea of the game is to let you feel yourself not only as a tough guy crushing monsters but also an explorer that searches and examines ancient alien civilization with its mystic cults and various artifacts. 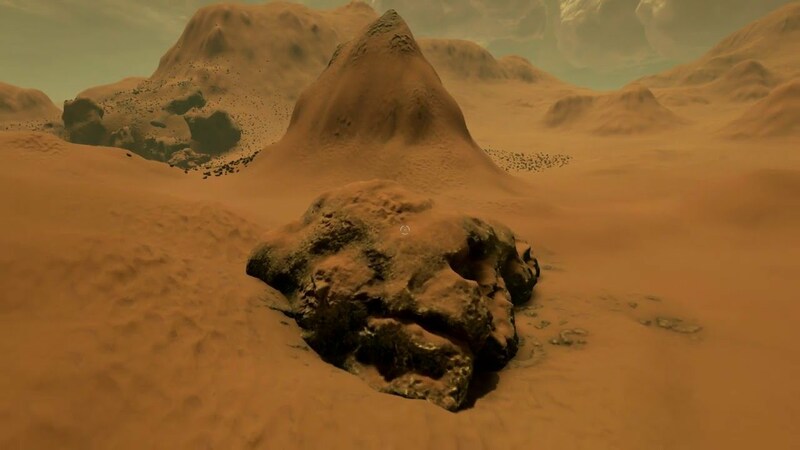 All the information that you gather from puzzles, artifacts and different other sources will reveal more of the history of the Cydonia region and the great secret behind it. This will also influence your own level of experience (or rating) that will have affect on the ending of the game as well as grant or restrict your access to different locations. Sometimes you will have to dig out the whole rooms to reveal mechanisms and artifacts, break the fake walls to get to secret chambers. This game can be described as a fusion of Doom, Resident Evil and Alice. 2. Complex material with three vertex textures, all of them support tesselation, advanced tessellation multiply method and height fade based on distance from the object, parallax, emissive, subsurface, three diffuse detail textures, six normal map detail textures, three color variations and a slope texture. 3. Different types of clouds which include huge 3d mesh based clouds with material that allows them to "self deform", inflate. Last edited by Kvazimodo; 05-19-2016, 12:54 PM. Even on early stage it have certain atmosphere. Nice work. Also come in mind those rare parts with outdoors from Doom 3 levels. Probably because of similar surface colors or just “mars” and “archeology” theme. I notice clouds lit correctly through day time. Is it geometry static meshes or you achieved this in some other way? Last edited by HV; 04-20-2016, 04:04 PM. Yes, those clouds are geometry meshes with special material that allows them to inflate and deflate slowly. Nice work! I like this sky and this desert! This is looking nice! Loving the sculpts and the blue vs brown contrast that you got going on, would love to see more of the interaction with objects and enemies when that is going to be implemented. Also, are the clouds moving across the screen or are they going to be fixed in one place? This is one of the mutant martian soldiers. He belongs to the majority that degenerated over many years and concentrated on wars, dark arts and horrible experiments. The big mesh clouds are fixed right now. There is a big alpha plane with cloud texture moving across it though. Last edited by Kvazimodo; 05-02-2016, 03:35 AM. Last edited by motorsep; 02-14-2017, 11:47 AM.